The Amazing Dental Quiz: Do You Know Your Oral Health? Sugar is bad for your teeth. Brushing is good for your teeth. You are not supposed to open a soda bottle with your teeth. We all know these simple dental facts. At Pelican Landing Dental in Bonita Springs, we use our blog as a resource for oral health and dental education. We take a break this week to have a little fun. We encourage you to take our quiz and see how you do. If you would like to learn more about your oral health, we encourage you to visit our website. 1. The best way to store a toothbrush is under a cap. 3. What is the most common cause of dry mouth? 4. Hard toothbrush bristles can be more effective than soft because tooth plaque is a hard substance. 7. 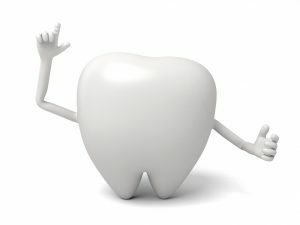 How many teeth exist (including wisdom teeth) in the normal adult mouth? 8. What fraction of the normal tooth is below the gumline? 9. TMJ is another word for jaw joint pain? 10. How often should a toothbrush be changed? b. False. Studies have shown that capping a toothbrush between uses actually increases the amount of bacteria. The presence of bacteria is inevitable; however, providing that moist environment actually encourages the growth of bacteria. d. All of the Above. There have been many studies illustrating the relationship between gum disease and heart disease. The exact cause and effect relationship has yet to be proven but the correlation is unavoidable. The main culprit in this relationship appears to be inflammatory markers and cellular communication in patients who have gum disease. Patients presenting with diabetes have decreased healing capacities and increases in inflammation. This can lead to increases in gum disease. Finally, pregnancy gingivitis is extremely prevalent. This relationship has been suspected to have implications on preterm labor and low birthweight children. a. Medications. The fact is that advanced age does not have any relationship to a decrease in salivary flow. Tobacco and radiation can inflict decreases in salivary flow but medications are by far the largest causative factor in dry mouth. b. False. First, hard bristle toothbrushes rarely provide benefit over soft bristled toothbrushes. Hard bristled toothbrushes can actually be detrimental not only to the gum tissues but also to exposed root surfaces. The final falsity in this question is that plaque is hard. Until plaque has gathered the mineralization to become calculus (tartar), it is a soft substance. In most instances, a soft bristled brush is perfectly adequate to remove plaque. a. Generally mouthwash should be used before brushing. This does not include special prescription mouth rinses or patients brushing with fluoride-free toothpaste. Most mouthwashes contain significantly lower concentrations of fluoride than the normal fluoride containing toothpaste. While mouth rinses have positive benefits, it is important not to wash off the benefits of fluoride contained in the toothpaste. Mouthwash followed by brushing with no rinse afterwards is generally the best method! c. 32 teeth! A normal child has 20 primary teeth. b. 2/3rds. While each tooth has slightly different measurements, this is a good generalization. This ratio can be altered with recession and advanced gum disease. b. False. TMJ actually stands for the temporomandibular joint. This is the jaw joint. Very often people state that they have “TMJ” when they are having jaw pain. They actually are talking about a form of TMD, which stands for temporomandibular disorder. This is a varied group of disorders involving the jaw as well as parts of the head and neck. c. Every two to three months is generally sufficient. That said, it is important to understand that if the bristles begin to splay excessively, they will be unable to be as effective. This also can be a sign that you are brushing with too much force. This can be damaging to teeth and gums. At Pelican Landing Dental, we welcome new patients and questions. Feel free to contact us for more information or call us at any time!